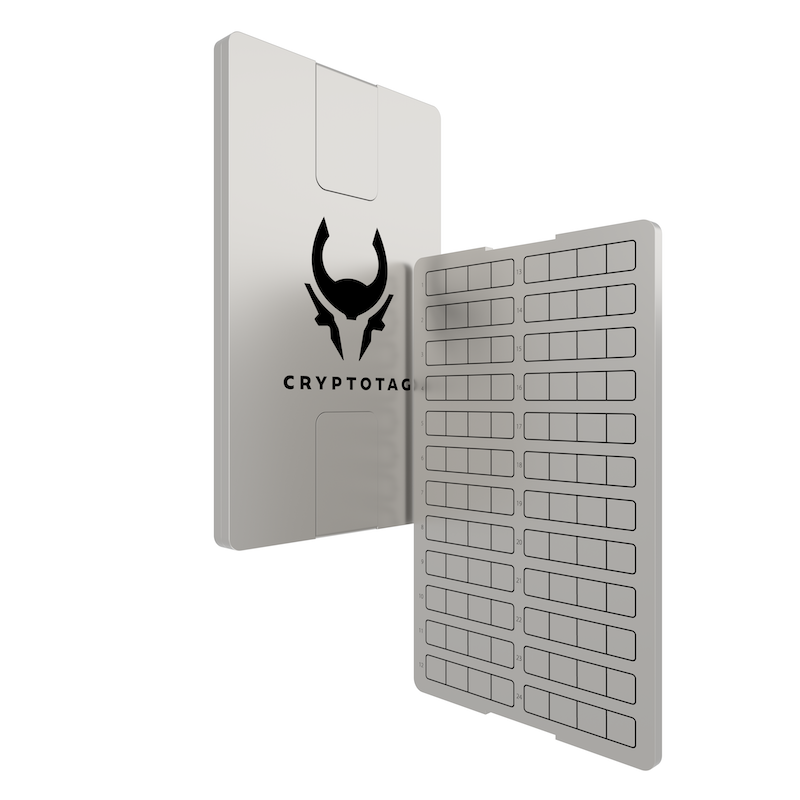 The CRYPTOTAG Starter Kit is developped to store your recovery seed in the most accurate and safe way there is. 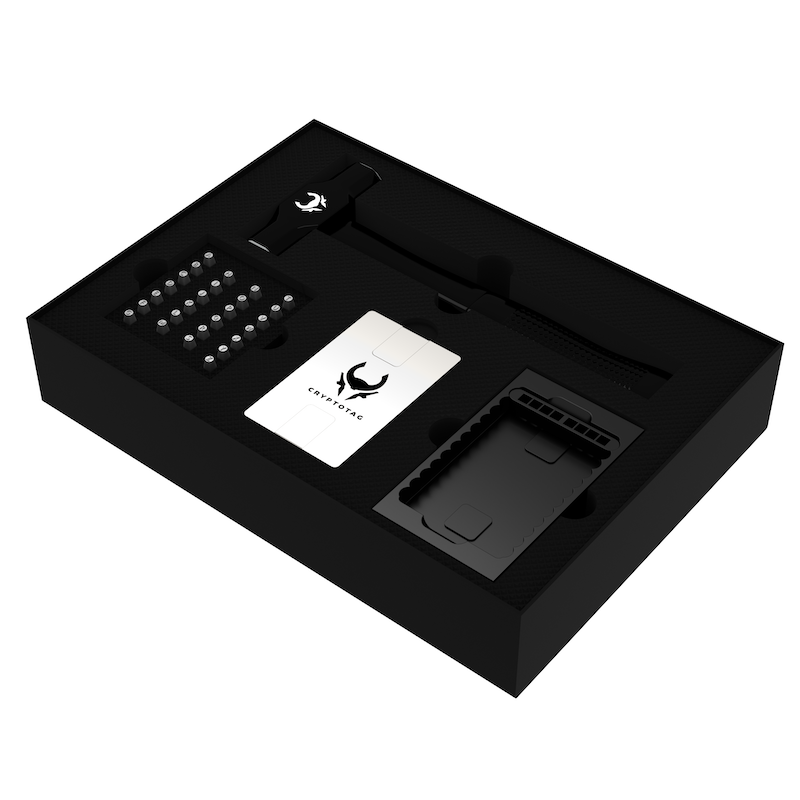 The patented system consists of all the components that you need to store your crypto in one complete package. Do you need more then two CRYPTOTAG plates that are included in the Starter Pack? No worries, you can buy the Add on plates separately, so that you can backup more wallets. One Add on pack includes two plates that enable you to store 48 recovery words.